By the time the sun begins to rise over the Tsavo Conservation Area, Kenya, at 6.30 a.m., he's already laced his sturdy boots, checked his equipment and plotted the day's activities for his team. By 7 a.m., they're already in the bush. Why? Because across Africa, one elephant is killed every 15 minutes for their ivory by poachers. 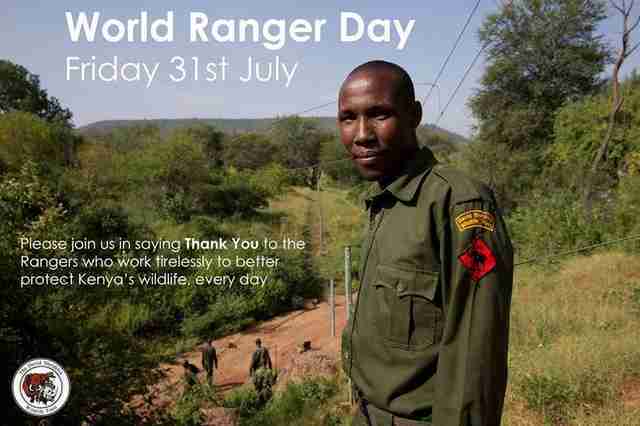 And, as one of the DSWT / Kenya Wildlife Service (KWS) Anti-Poaching rangers, it's his job to keep Kenya's elephant herds and other wildlife safe from ivory and rhino horn poachers, bush meat poachers and charcoal burners. 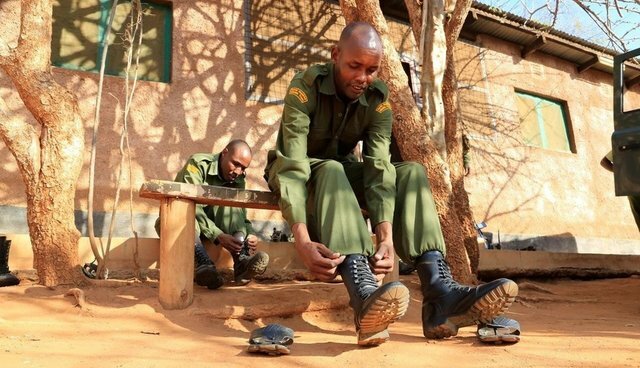 Stephen and more than 40 other trained Kenyan men stand on the front line of the poaching war each day, risking life and limb to keep Tsavo National Park's wildlife, including the 95 ex-orphaned elephants now living wild, safe. Its a dangerous job.The Thin Green Line Foundation estimates that over 1,000 park rangers have been killed in the line of duty over the past 10 years; seventy five percent of those were killed by commercial poachers and armed militia groups. Covering an area the size of Massachusetts, Stephen's team patrols on foot as part of the DSWT / KWS Anti-Poaching Initiative, supported in the air by our two airplanes and a helicopter. Every day in the bush is different for Stephen and his team, but the mission remains the same: to be the first line of defense for Kenya's wildlife, including elephants. 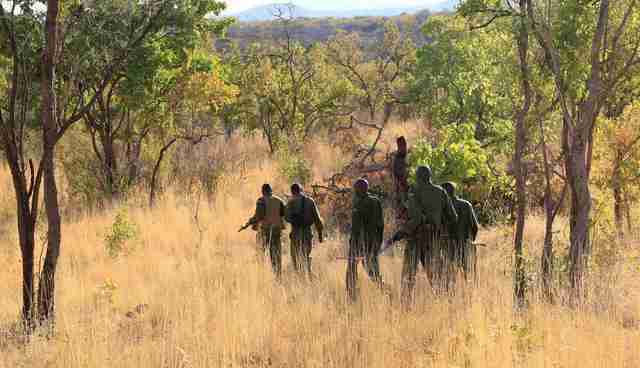 At first light, his team might start by following footprints belonging to a suspected poacher, or combing an area for snares to make it safe for passing wildlife. In a given week, his Mtito / Chui Team along with eight other units track and arrest poachers, build relationships with communities and confiscate illegal snares. Should they be nearby, they also assist with veterinary treatments, giving injured wildlife a second chance. Snares, in particular, aim to trap and kill wildlife and continue to be set every day within Kenya's National Parks. 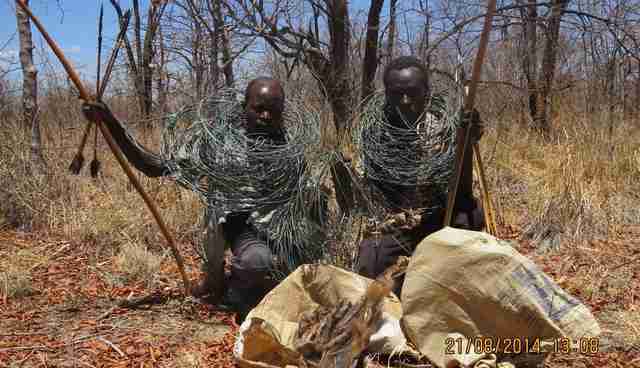 When re-laid, 1000 snares can capture an astonishing 18,250 animals in a year. But it's not just small animals that can be harmed by snares: Simotua, Mwashoti and Mbirikini are three young elephants in our care whose legs' have been nearly severed by these devices. "Every month we collect hundreds of snares that were intended to kill innocent animals. We've also apprehended many poachers and other criminals; some of them are minor offenders such as herders or trespassers and others are more serious such as charcoal burners and a few notorious poachers." 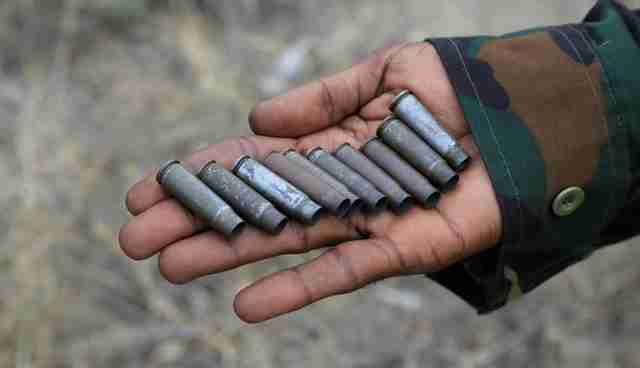 "Our efforts are definitely curbing poaching. We have noticed that operations in a given area will noticeably reduce poaching and other illegal activity. They quickly learn that you are there and their fear of apprehension keeps them from continuing." "We have saved the lives of countless elephants and other animals that would have died at the hands of poachers that we arrested ... We also develop relationships with former poachers and through them we are able to increase awareness among the community regarding the harmful effects of poaching." Being based in the Park means Stephen and his team are sometimes called to help monitor injured animals after treatment. "We helped treat an elephant that had an arrow lodged in its shoulder. The elephant was first spotted by the owner of Tsavo Safari Camp across the Athi River and reported to our Headquarters at Kaluku. 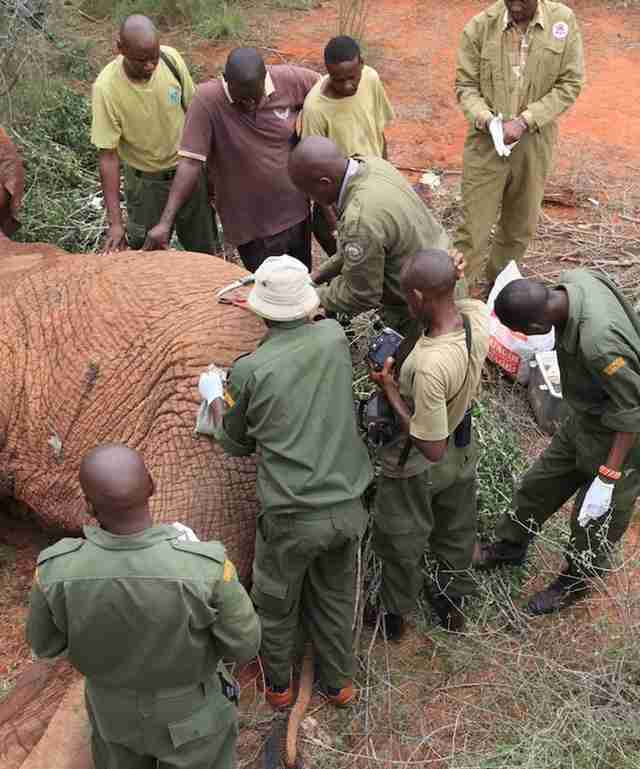 Our team went ahead of the KWS vet for the Tsavo area and monitored the elephant until he could arrive. We helped remove the arrow once the vet had darted it and then followed the elephant for two days after treatment to ensure that it had responded positively. It did begin to recover during this time and when we came back on the third day it had built up enough strength to move far away from where we were able to track it. In the beginning it was in so much pain that it was only moving a short distance every day. What makes the rescue of elephants particularly satisfying is that they live for so long. This was a young adult bull so by treating it we were able to add many more years to its life." "To get paid to do something you love is a privilege. It has also been an education of sorts for me as I learn on the job everyday about wildlife, conservation work and nature. It is exciting to be a part and parcel of wildlife conservation projects. Through my passion I focus on protecting wildlife itself, with the hope of preserving it for the future." But he adds, "I also am appreciative of having a job in this difficult economy." Stephen's team and all our Anti-Poaching work, in partnership with the Kenya Wildlife Service, is funded primarily through global donations from members of the public who want to see Africa's iconic wildlife safe for future generations. The killing of an elephant family of five in Tsavo West National Park on July 27 only shows we need more Rangers like him on the ground to keep Africa's elephants safe.